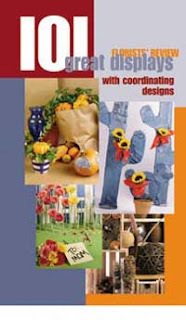 101 Great Displays has affordable and easy-to-make projects that will have your customers inspired to both send flowers and decorate for the season. Sound helpful? Well, we've taken it one step further by including coordinated arrangements that will carry your displays through to in-store specials that reflect the spirit of the displays. This handy compendium is a merchandizing planner that will help create effective displays all year long. Softcover. 208 pages. How-to's included for many projects.